Did I mention that our new backyard comes with a fig tree? No, you did not. I will be waiting for the fig recipes. 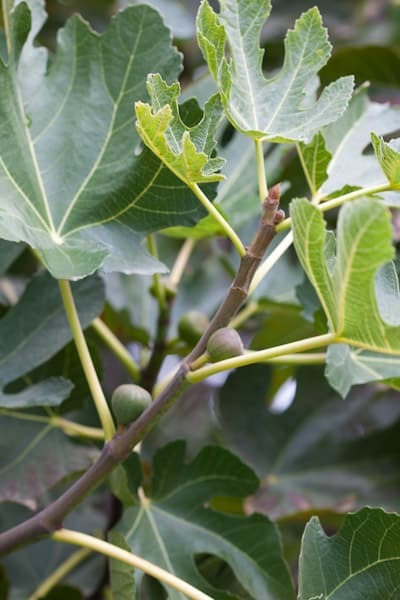 I have a big fig tree and besides incredible fig jam, I don't have a bunch of recipes for fresh figs. How beautiful and unique!Here's a wonderful recipe for your figs:http://bit.ly/nZAKMRIt's yummy! Lucky! I grew up in Fresno, and I miss getting perfectly ripe figs from my neighbors. I LOVE FIGS! I use them in salads, in my ice cream, and bake with them sliced and diced on steaks and burgers! There really good for you too, it's the fruit with highest calcium content by weight and they are loaded with fiber to help keep me regular :) LOVE your blog keep up the great work.